Provide comfort for the family of Beverly Mercer with a meaningful gesture of sympathy. Beverly Ann Mercer, 91, of Milton, and formerly of Duluth, Minnesota, passed away from this life on Monday, February 4, 2019. Beverly was retired from the Clerk’s Office Indexing Department for the county of Santa Rosa, and was a volunteer at Santa Rosa Hospital as a Personal Representative. She was a member of the VFW #4833 Auxiliary, the Fleet Reserve #210 Auxiliary, and the RSVP Fun Bunch, all of Milton. She will be remembered by her sense of humor and her ability to live her life fully and well. She was preceded in death by her husband, Ray Alton Mercer; and her parents, Capt. Merle L. Thompson and Anna R. Erlund. Beverly is survived by her son, Ray Alton Mercer Jr.; daughter, Barbara Ann Howard of Pensacola; eight grandchildren, Anna, Shaun, Naomi, David, Rachel and Matthew Howard, from Sparta, Tennessee, and Brooklyn Rae Mercer from Milton; and her good friend, Charles P. Towe. Her body will be cremated and her ashes buried next to the body of her husband in Memory Park Cemetery. 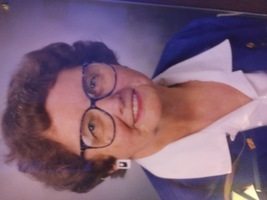 Beverly will be cremated and her ashes buried next to the body of her husband in Memory Park Cemetery. No service has been planned. Consider providing a gift of comfort for the family of Beverly Mercer by sending flowers.